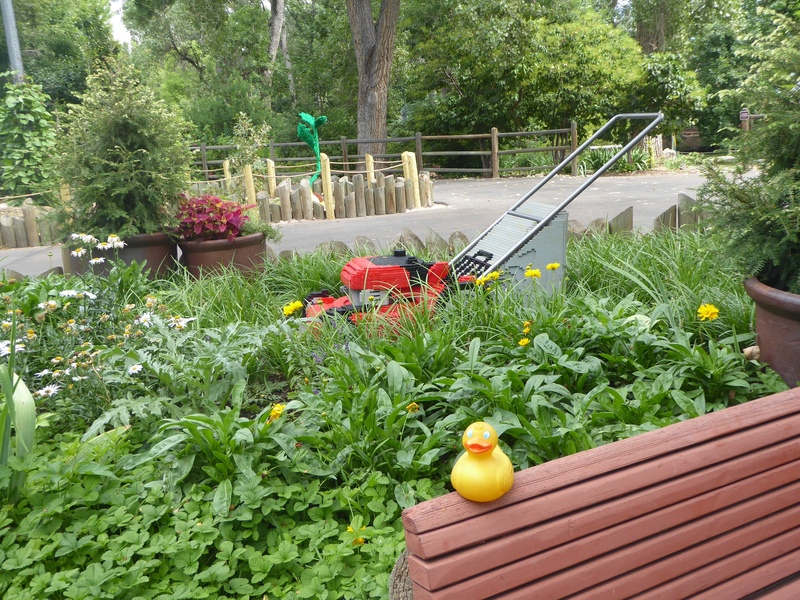 I, Zeb the Duck, visited the Denver Zoo. The zoo is a great place. 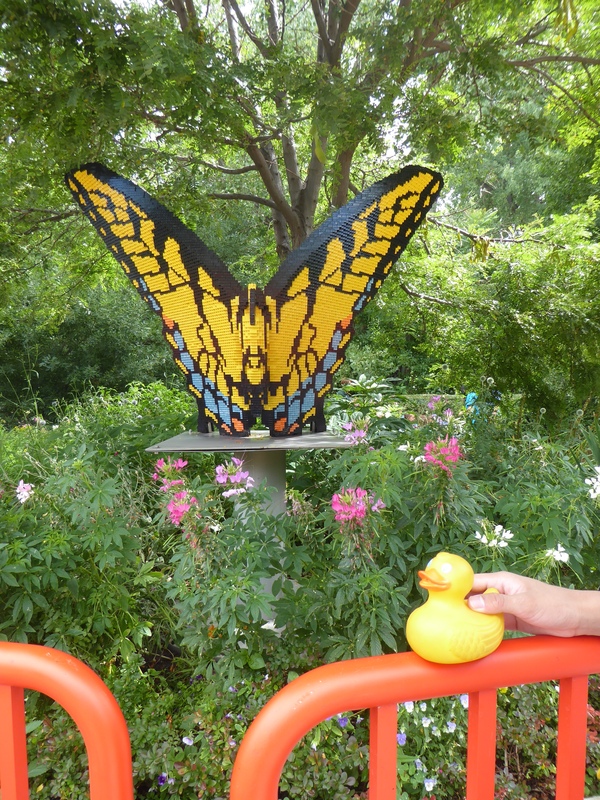 I love all the animals, but this time we enjoyed a Lego exhibit. 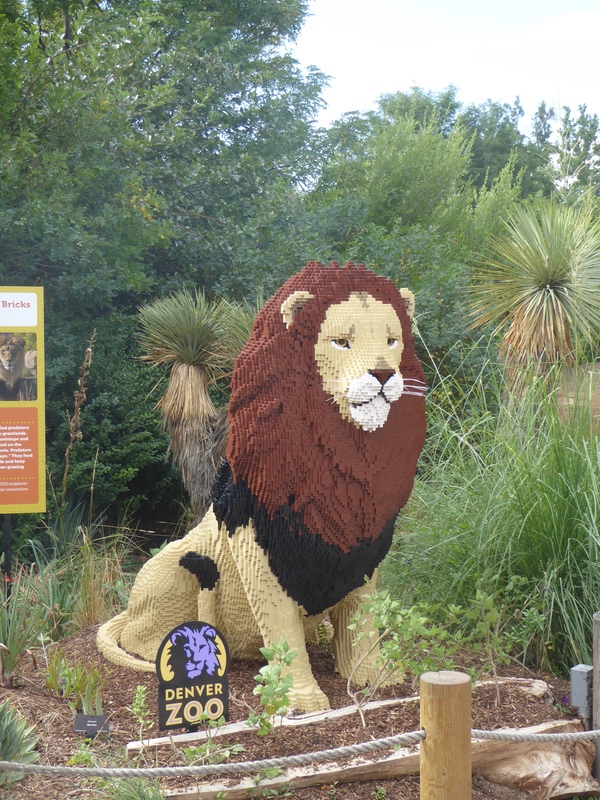 Look at this lion made of legos. 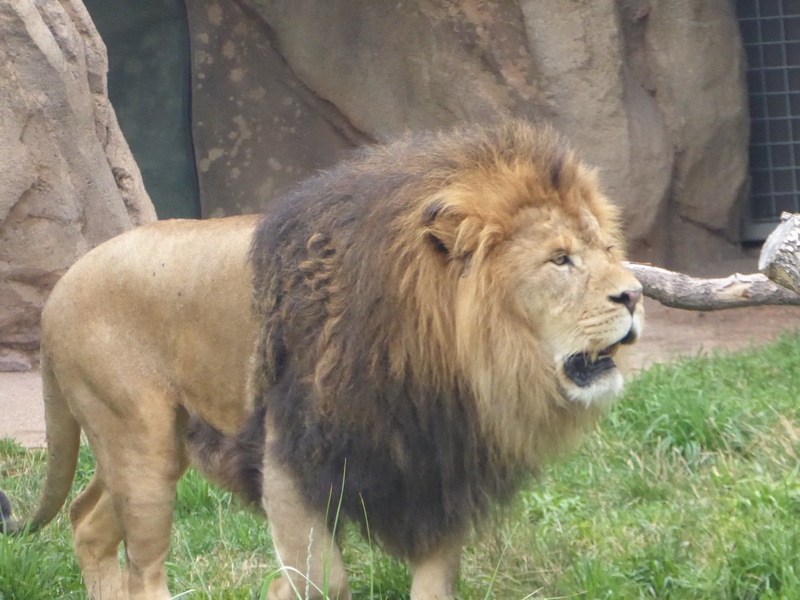 And then, look at this real lion. Almost like being in Africa. We headed to the snow leopard. 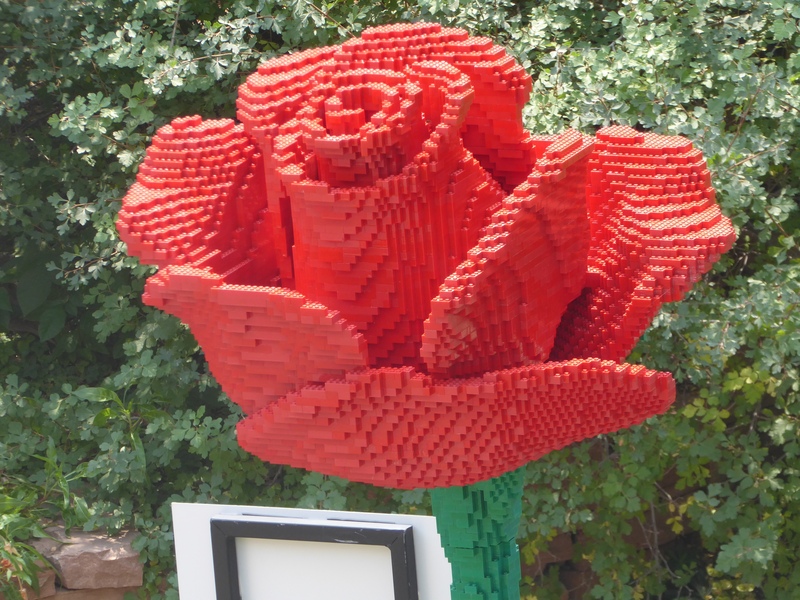 This one is made from 63,379 legos. We love this polar bear with her cubs. There are 133,263 legos in this sculpture. 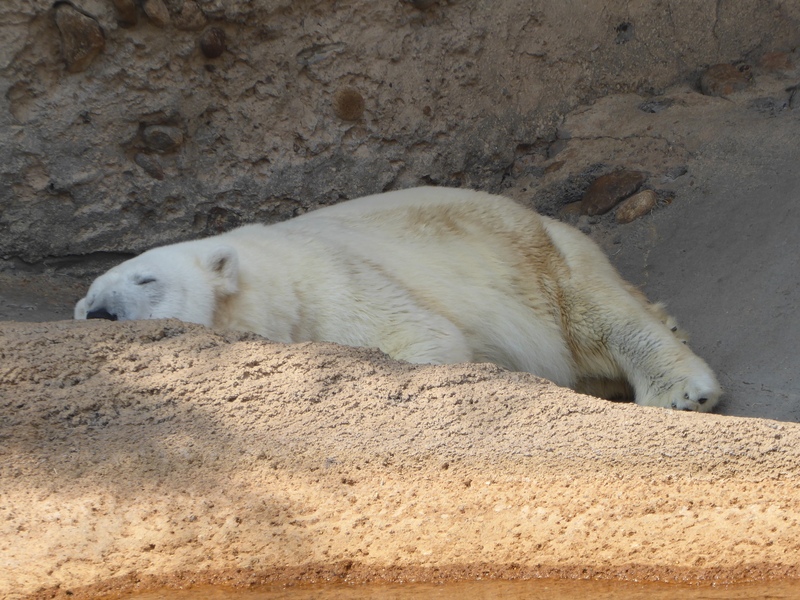 The live polar bear is taking a nap. This red rose is great. 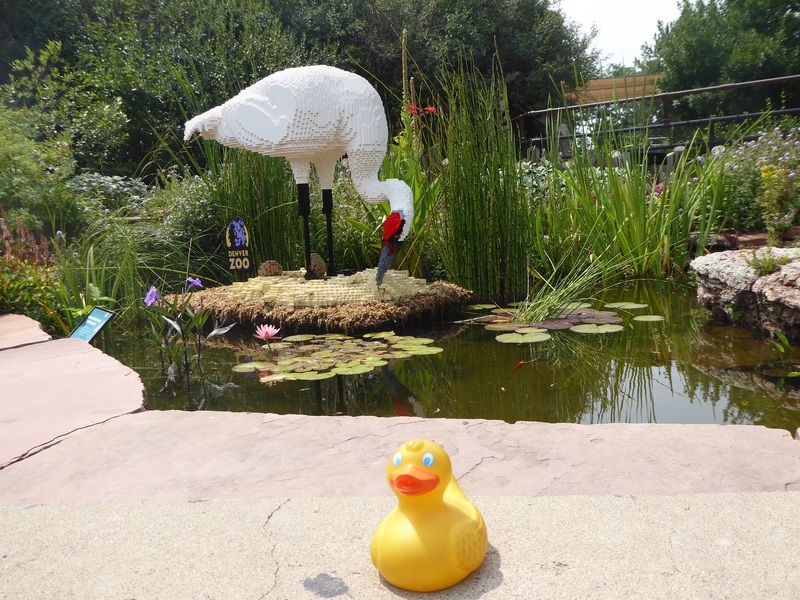 We really liked this whooping crane. The germinating acorn is very nice also. 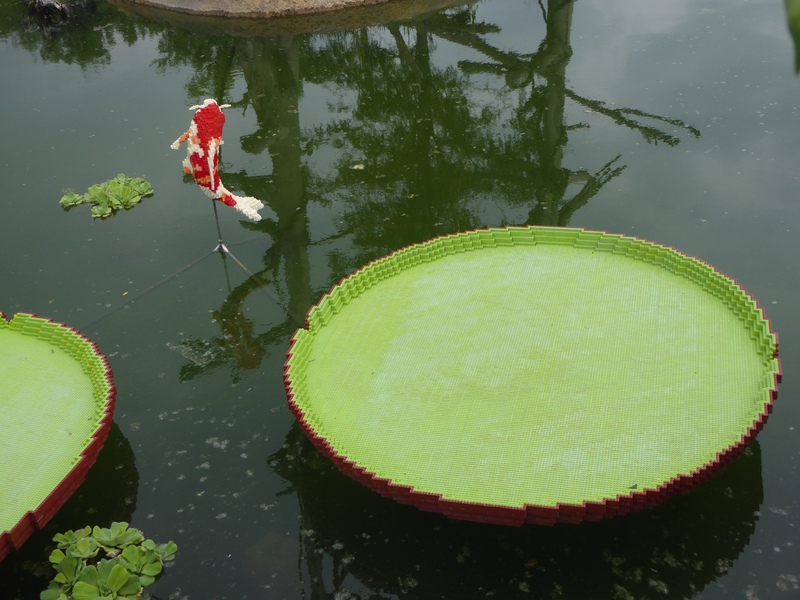 The Koi and Lily Pads seem so tropical. 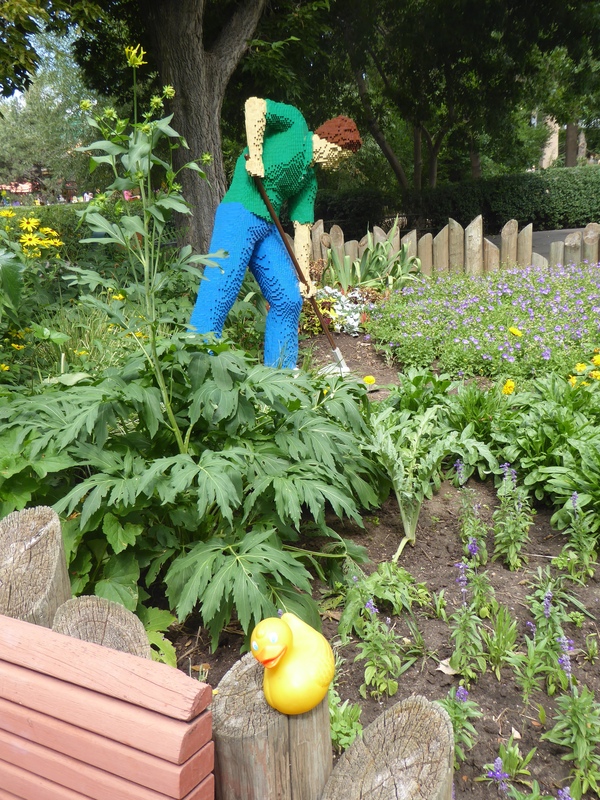 It takes a lot of work to keep the zoo nice for visitors. This honors a man that keeps things is great shape for our visits. Of course, a lawn mower is a necessity. We liked the bison and calf of legos. 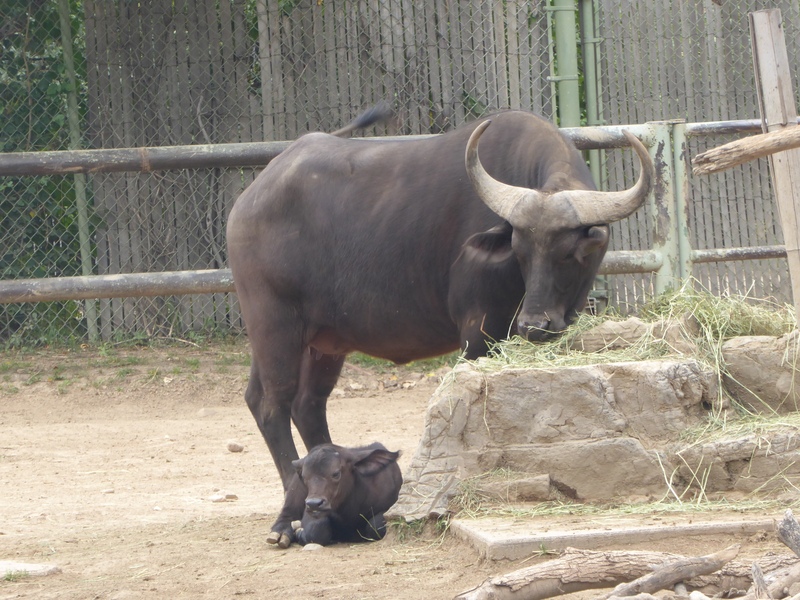 We also liked these live cape buffalo. The baby was born July 24, 2015. 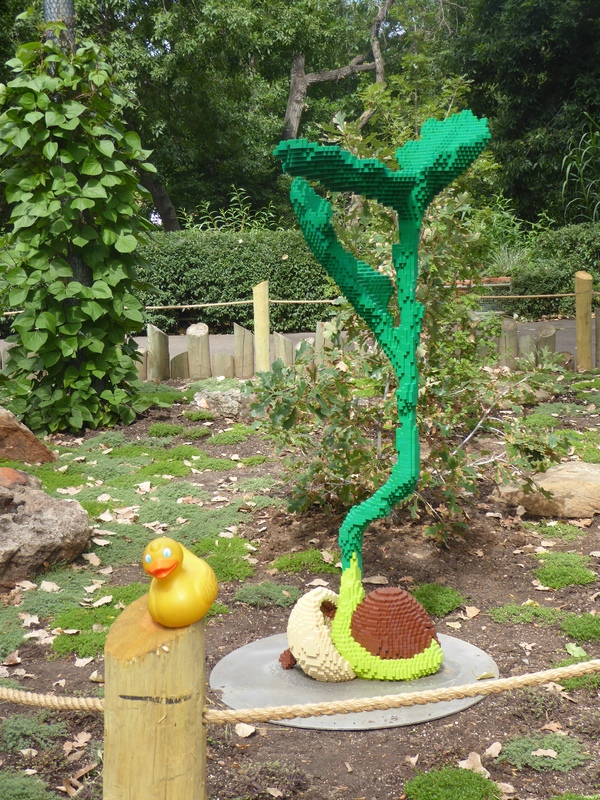 We love the zoo anytime, but these legos are spectacular. 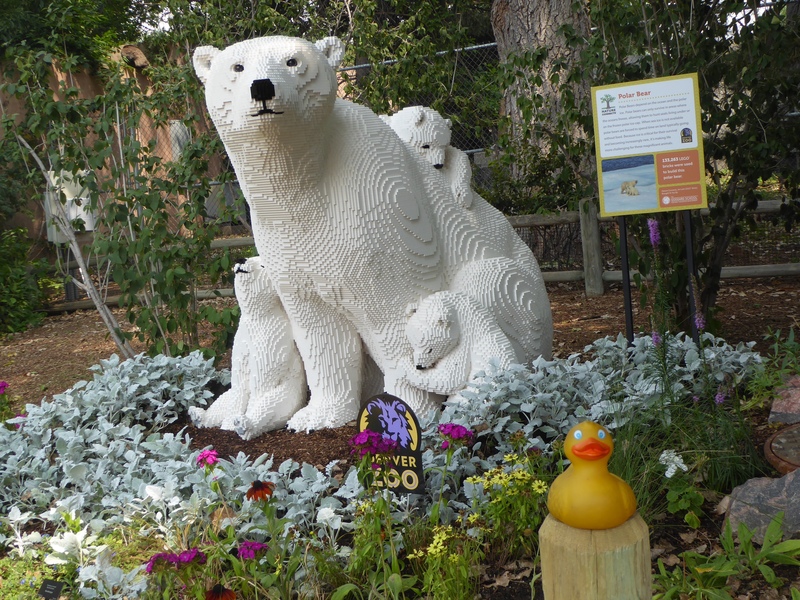 They will be on display at the Denver Zoo until November 1, 2015. 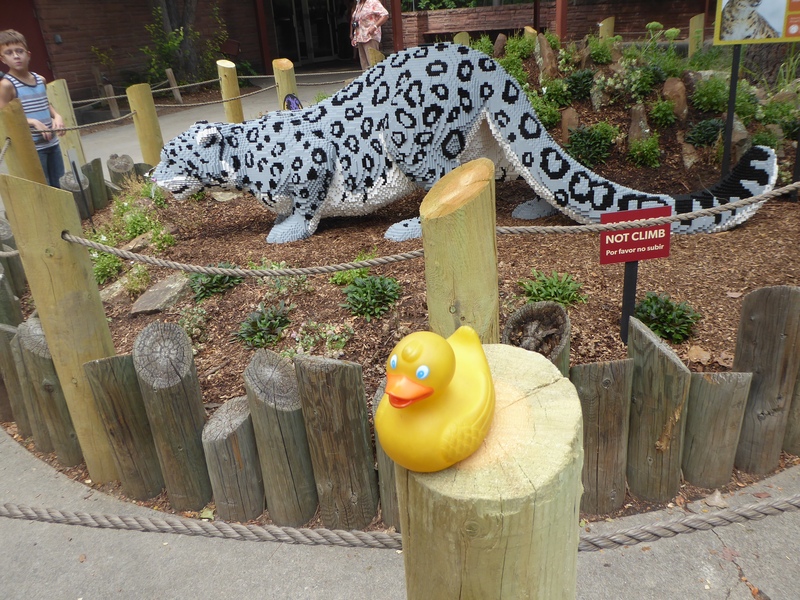 We recommend that you visit the zoo and see the animals and the legos. We have seen them three times and will definitely go back again. 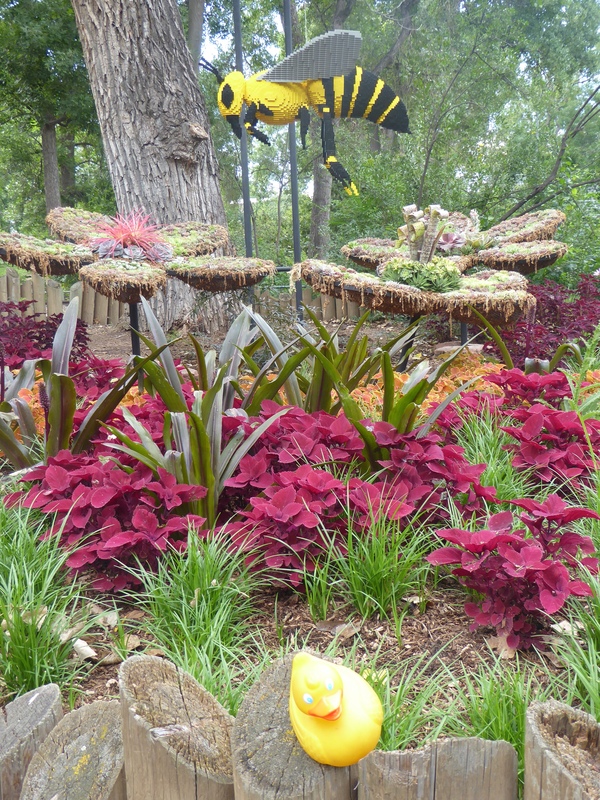 We always see something new at the zoo. 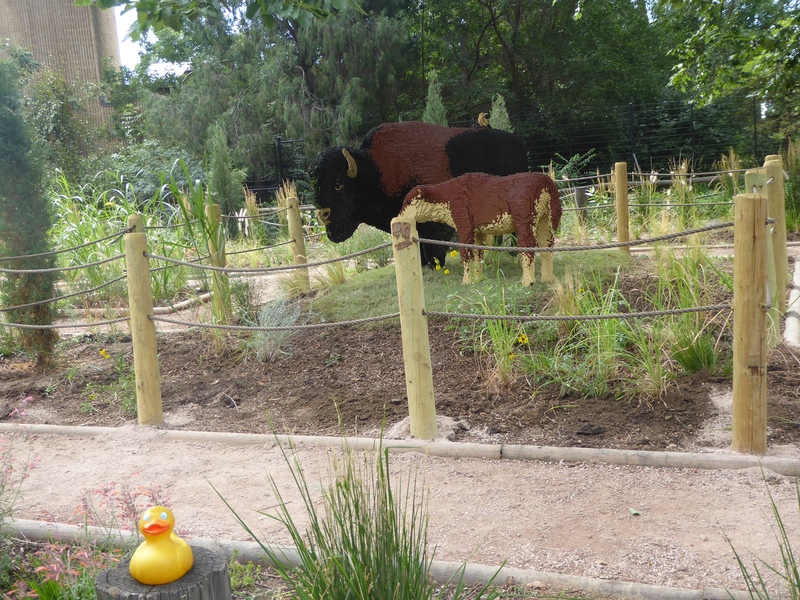 This entry was posted in Colorado, Uncategorized and tagged baby cape buffalo, Colorado Traveling Ducks, Denver Zoo, Lego Exhibit. Bookmark the permalink.